If you’re embarking on a ketogenic diet, you’ll quickly notice how much it can change your body composition and provide you with plenty of energy. But in addition to the benefits, one of the first things you’ll hear about this diet plan is the fact that it can deplete electrolytes in the body. That’s why it’s typically recommended to get as much potassium in the diet as possible. Instead of eating bananas until you’re blue in the face and sabotage your ketogenic state with all those carbs, there’s a much easier way to get your fill of potassium: with potassium supplements. As healthy and nutritionally sound as the ketogenic diet is, it’s very common for electrolytes to get thrown off balance as a result of such a low level of carbohydrates being consumed. Salt levels, in particular, can get quite low and off balance, which can cause the dreaded “keto flu” when you’re just starting out on the diet. But a lack of proper electrolyte balance can also cause other side effects even if you’re well into the diet plan, such as muscle cramps, lack of energy, and poor sleep patterns, to name a few. Luckily, there are potassium supplements for keto dieters. Potassium is an essential mineral that the body requires to ensure proper function at a cellular level. Along with sodium, potassium regulates water balance and hydration in the body. Potassium is one of the major “electrolytes” in the body, and when dissolved in water, it produces positively charged ions. For this reason, potassium is able to conduct electricity, which is important for several bodily processes. That’s why a low level of electrolytes in the body can negatively affect a number of important functions. sending nerve signals throughout the body. Approximately 98% of the potassium in the body is located in the cells, and of this percentage, about 80% of it is found in muscle cells. The remainder can be found in the red blood cells, liver, and bones. What Keto-Friendly Foods Contain Potassium? A keto diet is very strict as far as the types of foods that are allowed to be eaten. In order to maintain a state of ketosis, you’ll need to make sure that your carb intake is very low, which can be hard if you’re not aware of the carb content in each type of food. There are even many vegetables that should be avoided in order to ensure a low level of carbohydrates to maintain ketosis. Many people eat bananas in order to get their fill of potassium, as this particular food is very rich in this important nutrient. One medium-sized banana has over 400mg of potassium. The problem with bananas is that they are not keto-friendly. One banana might be loaded in potassium, but it’s also high in carbohydrates, with 27g of carbs per banana. The ketogenic diet only permits between 20g to 50g of carbs per day, on average. So you can see how just one banana can quickly max you out in the carbohydrate department. As long as you’re careful about the types of foods that you eat and their carbohydrate content, there are plenty of ways to get potassium into your diet from the foods you eat. How much Potassium should you have on keto? However, getting the recommended daily dose just from your diet can prove to be difficult. Based on the fact that we need about 3,500 to 4,500mg of potassium per day, it’s easy to see how difficult it can be to get the recommended dosage on a daily basis. That’s where potassium supplements come into the picture. With one simple scoop or capsule each day, you can get all of your dietary potassium needs quickly and easily without having to stuff your face with an overabundance of broccoli or spinach. As already mentioned, it can be difficult to get the recommended dosage of potassium every day through food alone. And if you’re not diligent with your diet, you can easily fall under this amount. Instead, potassium supplements can provide you with exactly what your body needs easily and quickly. Without adequate potassium in the body, you can suffer a number of drawbacks. In fact, studies have shown that a lack of adequate potassium is linked to heart disease, high blood pressure, arthritis, digestive disorders, infertility, and even cancer. People who are low in potassium are often prescribed potassium-rich diets or potassium supplements to help avoid or even treat some of these health issues. It should be noted that these side effects are typically associated only with doses that far exceed the recommended amount. Also, certain people should consult with a doctor before increasing their potassium intake, such as those with ulcers, cardiac issues, allergies to supplements, diabetes, and other health problems. Potassium supplements are specifically measured in exact doses per serving, making it easy to gauge and measure exactly how much potassium you’re taking every day. If you’re in need of a potassium top-up, supplements can be a great way to add more to your diet. That said, not all potassium supplements are created equal. You’d be much better off sticking with a high-quality potassium supplement that has been highly reviewed and regarded rather than a cheaper, sub-par product that won’t provide you with as many benefits. The question is, what are the best potassium supplements available on the market that will still be able to support your ketogenic lifestyle and diet? 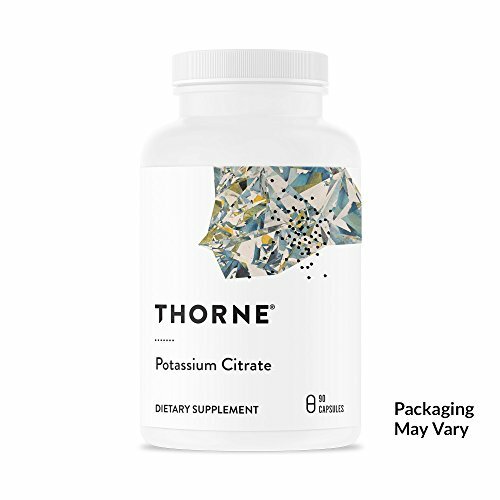 This citrate potassium supplement promises to strengthen bones, support kidney, and urinary health, and regulate blood pressure. In addition, it also ensures proper hydration and provides plenty of necessary electrolytes to the body. It also has an immediate effect and works really well to reduce blood pressure, sleep better, and get rid of muscle ache. It’s also fairly easy to consume. It dissolves in water almost instantly and requires no stirring. It does not have any taste, so drink it with the drink of your choice. I consume one teaspoon per serving per day and haven’t felt more energetic and healthy. 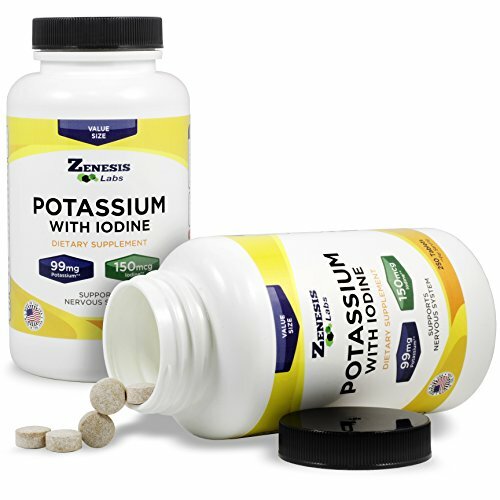 Another highly rated potassium supplement on the market is Potassium Gluconate with Iodine Kelp from Zenesis Labs. It’s effectiveness easily ranks right up there with some of the best potassium supplements available. This potassium supplement can effectively eliminate muscle cramps, improve sleep, support healthy blood pressure, and increase energy. These effects are felt almost immediately, if not shortly after consuming the supplement. In addition to all of these benefits, it’s also comparatively priced. One bottle will last you for more than 8 months. Thorne Research’s Potassium Citrate supplement is raved by many who have bought and used the product. Promising to improve muscle function, decrease muscle cramps, improve sleep, regulate blood pressure, and increase energy, Thorne Research seems to be coming through with its promises. 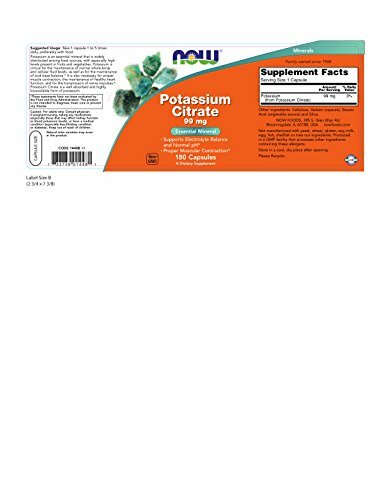 Potassium Citrate by Thorne Research has no fillers, and is constantly undergoing ongoing tests for quality control. For over three decades, Thorne has been developing supplements in over 30 countries. 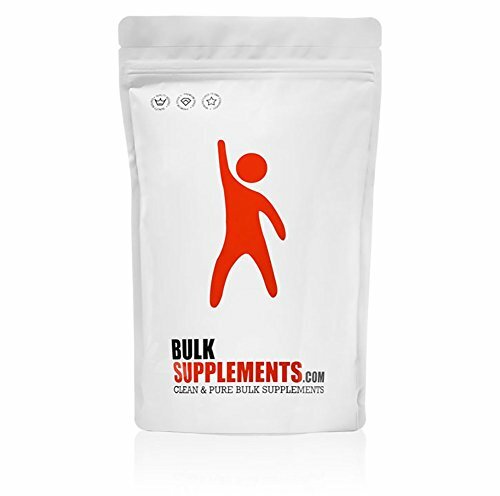 All products – including this one – are formulated by a team of highly educated and trained scientists ensuring that every step of the development process is up to par. Thorne is even the exclusive partner of many US national teams! 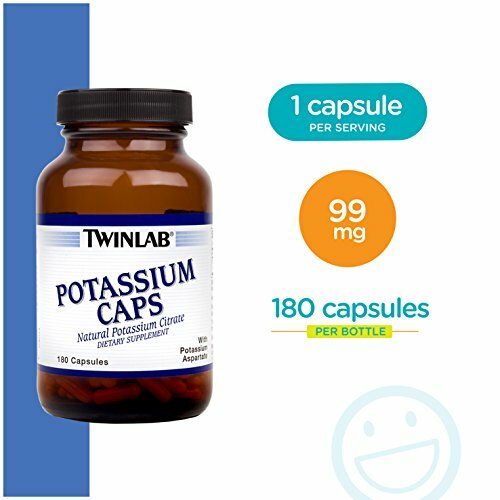 Twinlab Potassium Capsules offer users a 100% natural potassium supplement for users looking to keep their level of electrolytes healthy while engaging in a ketogenic diet and lifestyle. This product is manufactured in the company’s own in-lab NSF GMP registered facility. These capsules are easy to swallow without the use of any artificial coating, and are free of artificial colors, flavors, or sweeteners. These capsules absolutely do work to regulate blood pressure, improve sleep, and reduce muscle cramps. They’re also designed to help support optimal heart health and digestive function. Since they come in a pack of three, you can keep one for yourself and give out a couple to friends or family! One common complaint among those who take potassium supplements is their difficulty to swallow. With Now’s Potassium Citrate supplement, you’ll find no such complaints. In fact, you’ll be more likely to find the opposite – this product provides all the benefits of potassium while providing an easy-to-swallow pill form. This potassium supplement is also very cost-effective compared to others of its kind. Now promises to support proper electrolyte balance, normal pH levels, and optimal muscle contraction to reduce cramps. It’s no secret that potassium provides the body with plenty of health benefits, and a lack of sufficient potassium can lead to a host of different health issues. It’s highly suggested that users get the recommended dose of potassium every day, and this is especially important for those who are following a ketogenic lifestyle. Being low in electrolytes is a common side effect of ketosis, and potassium supplements can help ensure proper levels while you see the benefits of going keto.